Bigfoot News | Bigfoot Lunch Club: Oregon Sasquatch Symposium is a Go! Speakers include Bob Gimlin and Bill Munns! Oregon Sasquatch Symposium is a Go! Speakers include Bob Gimlin and Bill Munns! The 2012 Oregon Sasquatch Symposium will be in Portland, Oregon. Toby Johnson, the big kahuna at OSS, has announced two big names that will be presenting at this years OSS. Click this link to read about the previous Oregon Sasquatch Symposiums. Bob Gimlin and Bill Munns will actually present in tandem, the topic, believe it or not will be Bluff Creek. This will be the first time both have collaborated together to prepare a presentation. Bill Munns plans on presenting some compelling research he has done with 3d graphics, including details such as exact camera angles. Bob Gimlin of the Patterson/Gimlin fame. Bob Gimlin was with Roger Patterson when Patterson filmed the well known Patterson/Gimlin footage in Bluff Creek CA, in 1967. The film shows a large, hairy, female primate walking upright on two feet, and is unquestionably the best known footage of a Sasquatch ever obtained. It's interesting to note that although many dispute the film's authenticity, it has never been proven to be a fake in the years since it was filmed. 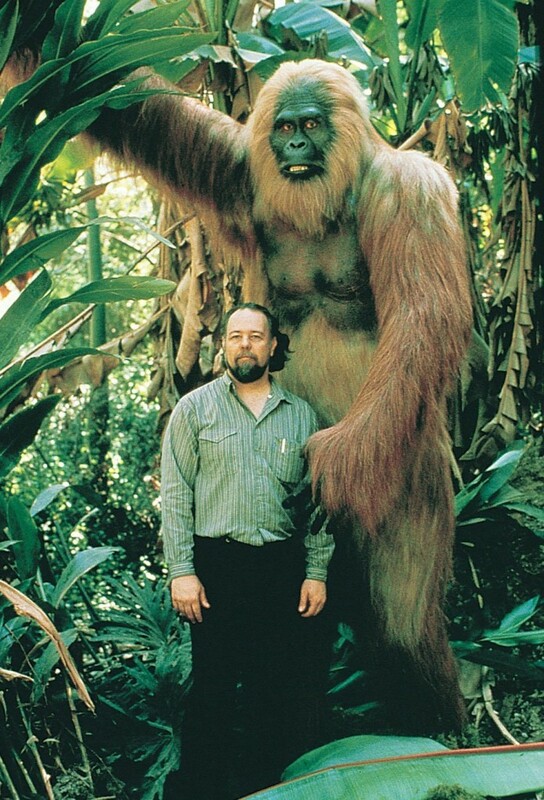 Bill Munns was first connected to the Bigfoot discussion by virtue of his well publicized full scale reconstructed figure of Gigantopithecus (with him standing beside it), originally published in the book "Other Origins", and subsequently digitized and freely copied into Bigfoot websites and Forums whenever the discussion turned to Gigantopithecus and its potential relationship to the Sasquatch. Bill has worked as a special effects/prosthetics makeup artist since 1969, starting at Universal Studios, under Mike Westmore. During his career, he has made numerous full body suits, fur costumes, masks, and animatronics for various movies, TV shows, and commercials. Based on that experience, in 2008, he began a series of postings online re: "Creature Suit Analysis", with both general information about making creature type suits or costumes for films, and specific references to the ongoing controversy of the Patterson-Gimlin Film, and the debate as to whether what is seen in the film is a real creature or a hoaxed event with a person in a fur suit. The date is not set in stone, but it is slated for mid to late October. Stay tuned at http://oregonsasquatchsymposium.webs.com/ for future details.